SSL Labs Cipher Strength < 100%, why? How do I make it? I am in a progress of trying (again) to get maximum (or almost maximum) score on SSL Labs with my site. I currently do not understand, why it does not give me full Cipher strength score. SSL Labs - Cipher strength score is less than 100%, why? And how do I make it full? OS: GNU/Linux Debian 9.4 with Apache 2.4.25. 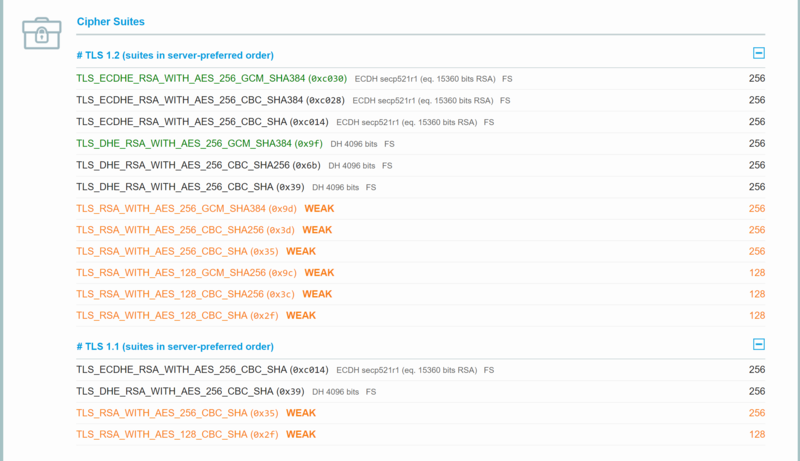 All ciphers listed in SSLCipherSuite in your Apache2 configuration, which are defined as RSA+*, in my case I had RSA+AESGCM256:RSA+AES256:RSA+AES defined, are designated as weak. Technically speaking, it does not like the 128-bit ones, I believe, for grading purposes. Not the answer you're looking for? Browse other questions tagged https apache2 security-certificate or ask your own question. Shared SSL hosting receives all SSL requests but why is Google getting it wrong? Why do CDNs charge so much for private SSL? Can we use open SSL to generate certifiicates for 100 customer websites? 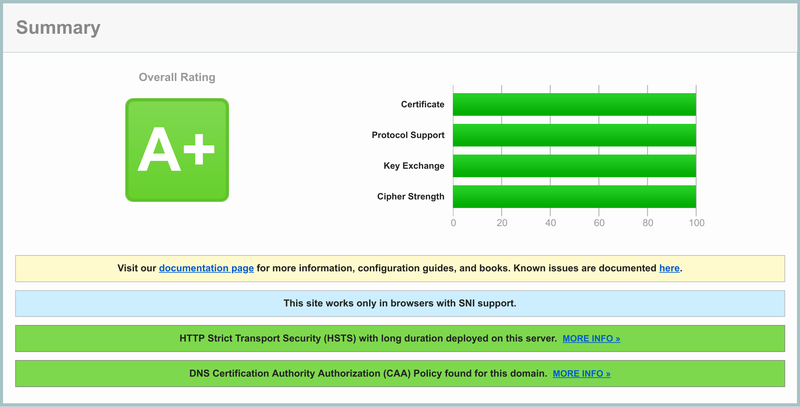 SSL Labs Key exchange < 100%, why? How do I make it?